My visual studio 2011 developer is about to expire in a few days. How can I remove it completely. It has installed a lot of packages that can be seen in the Control Panel > Add or remove software. Some of them refuse to uninstall, all in all it's a huge mess. Is their some way to completely remove it? The only way is to uninstall manually those components. this might influce the existing installation of previous version of visual studio. it's good if you reinstall the previous ones once you uninstall VS2011. Not the answer you're looking for? 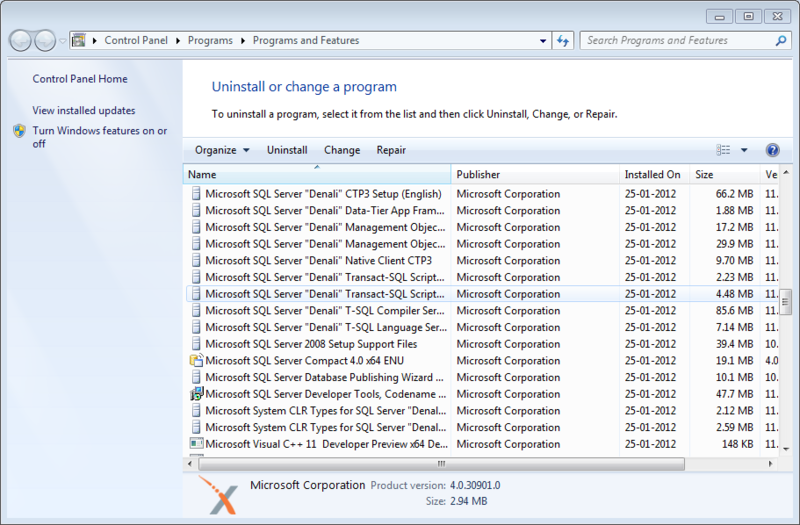 Browse other questions tagged uninstall visual-studio or ask your own question. “C:\ProgramData\Package Cache” missing - how can I completely remove Visual Studio? How long does it take to Repair/Uninstall a Visual Studio 2015 installation? How do I uninstall visual studio 2013 that ha installed as an administrator? Can MS Visual Studio Enterprise develop office apps?